a result of using those materials. chemicals. We also use loofah, safflower, and natural mineral water. High quality natural mineral water from ancient springs in Chichibu area. We are seriously committed to caring for skin. Our high quality products remove minerals which are damaging and bad for your skin. We don't use artificial coloring or petroleum. Our plants are successfully protected from UV rays without the use of chemicals. 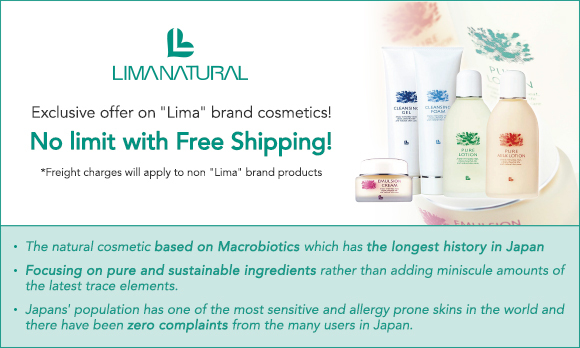 The Basics of "LIMANATURAL Cosmetics" come from "LIMA Cosmetics"
Joichi Sakurazawa is the founder of Macrobiotics. 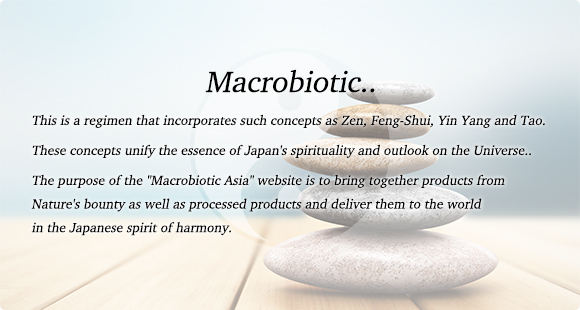 Macrobiotics is based on the "Shindo-Fuji" philosophy, which means eating as much locally grown food as possible. He recommended that people use cosmetics that have been used since ancient times in Japan. LIMA cream was first made in Showa 41 (1966). At that time, people were suffering from side effects of cosmetics, so he made the cream without petrolium. Instead he used camellia oil, which had been in use since ancient times. This was an entirely new concept, so he named it Lima, after his wife. After that, there were a lot of ups and downs. The LIMANATURAL series appeared in Heisei 7 (1993) and succeeded without harmful substances which were required to be labeled, but instead using natural ingredients. We use the traditional medicine system Ayurveda. Our anti-aging cosmetics use only herbs, which is a brand new way in Japan. We are now providing age care, skin care, make-up, hair care and toothpowder in natural food stores all over the world, for people who like natural foods. For Reference "Organic Movement": The Organic movement dates back to the teachings of "Youjo-kun" written by the confucianist Ekiken Kaibara in the Edo Period. In the Meiji Period , Dr.Ishizuka Sagen taught "I-shoku Dougen", which explained how the food we eat is like natural medicine to our body. Joichi Sakurazawa, Kenji Niki, and others were influenced by these teachings and popularized the movement to live with a respect for nature, which has continued until today. "Shindo Fuji": Shindo fuji means eating food that is grown locally. I recommend that everyone be healthy and lively. In order to be healthy, people should carefully consider what they eat, and live in beauty, positivity, and cheer. That leads to being more healthy. In Showa 41 (1966), I was asked by macrobioticians to make a cream made of camellia oil. At that time, I named it Lima Cream. Now, a new era has come for LIMANATURAL. I'm proud that LIMANATURAL was created, and has created high quality products. I use them myself, and I am very satisfied with the results. I recommended the cosmetics That LIMANATURAL has created. I hope that everyone lives a good, healthy, and prosperous life. Bless you. Lima Sakurazawa was born in Yamanashi. She was the former chair of the Japan CI Association, and founder of macrobiotic cooking. She overcome a childhood illness through this macrobiotic food and cooking.She married Joichi Sakurazawa in 1936. She taught the philosophy of macrobiotics all over the world.